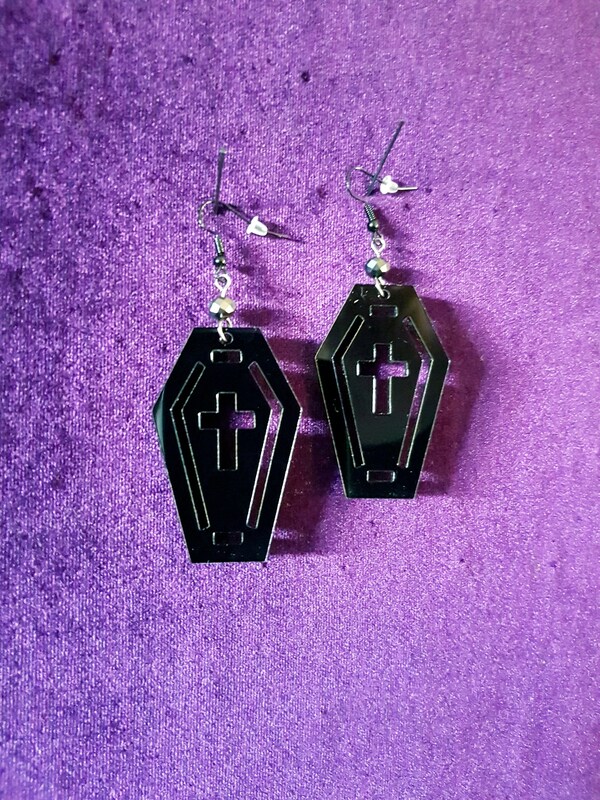 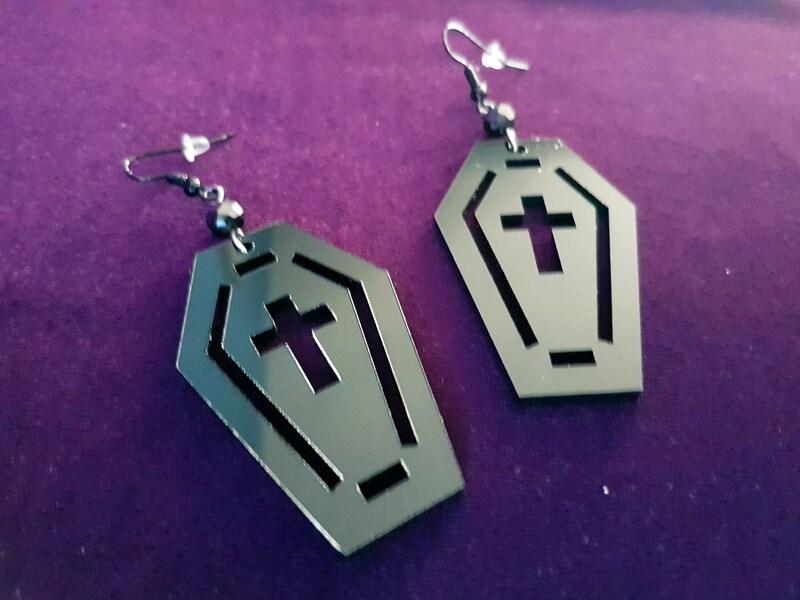 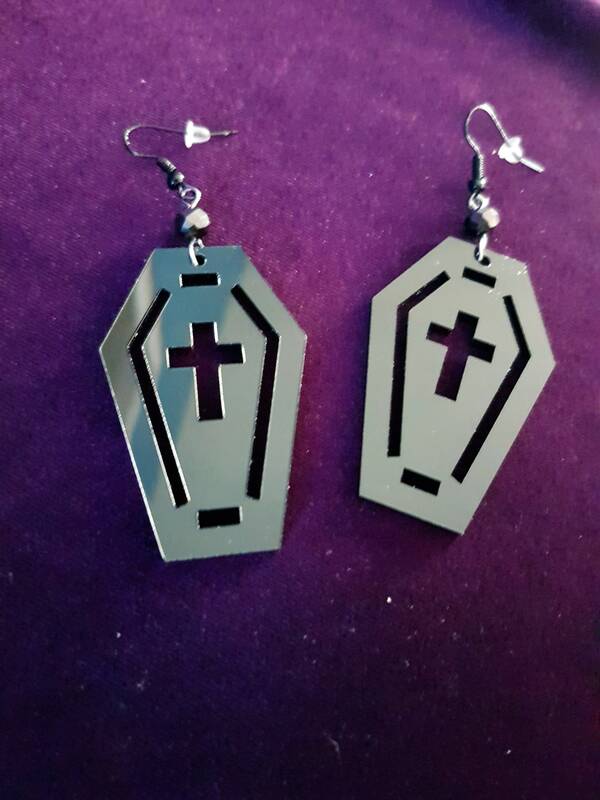 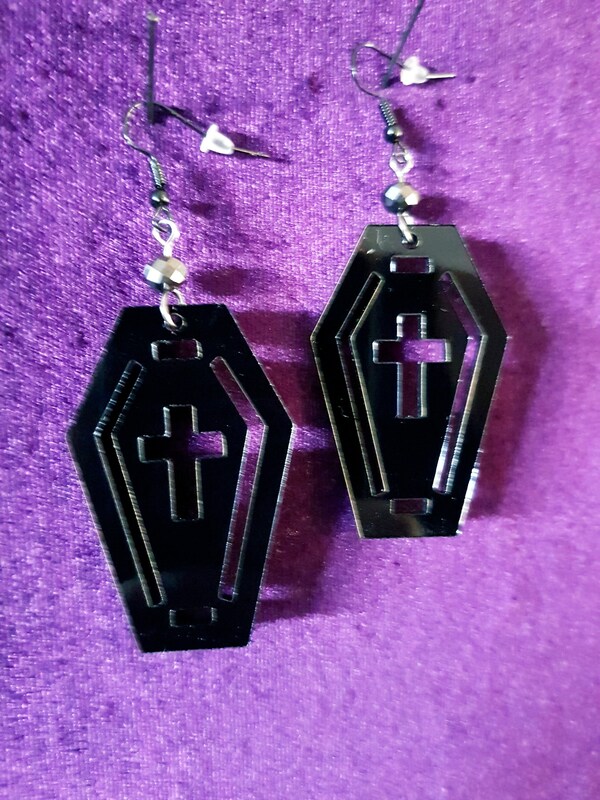 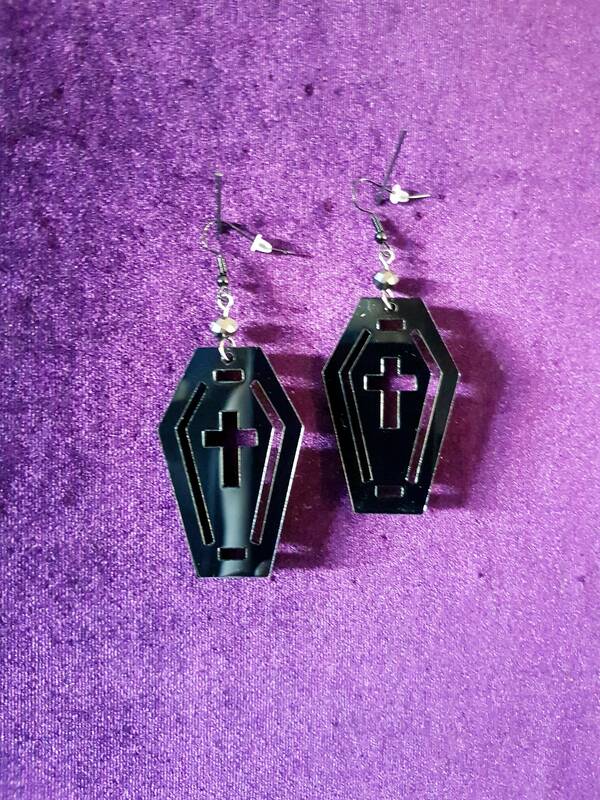 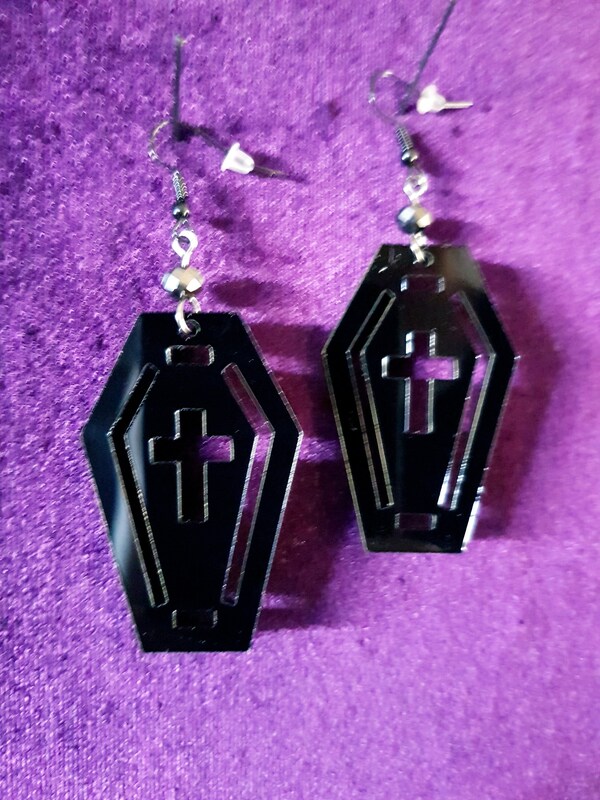 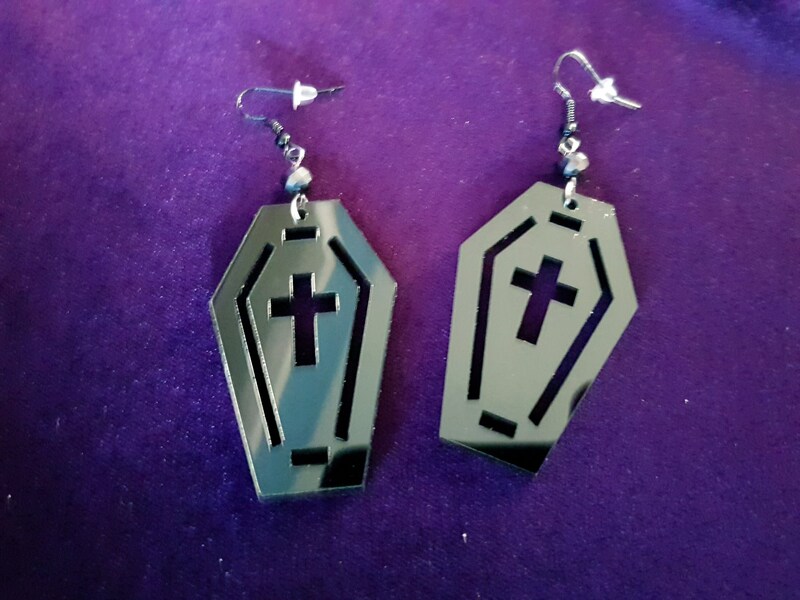 Stunning glossy black coffin earjewellery. 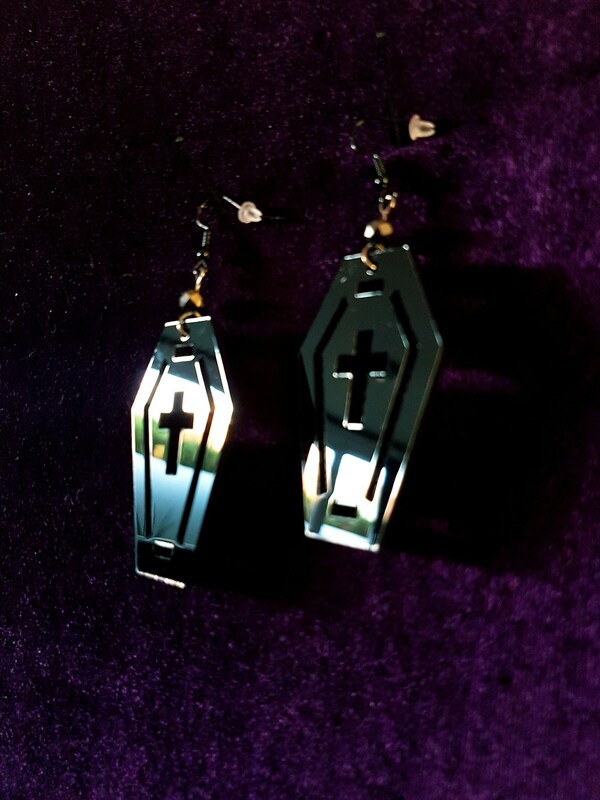 Made out of light weight acryll. 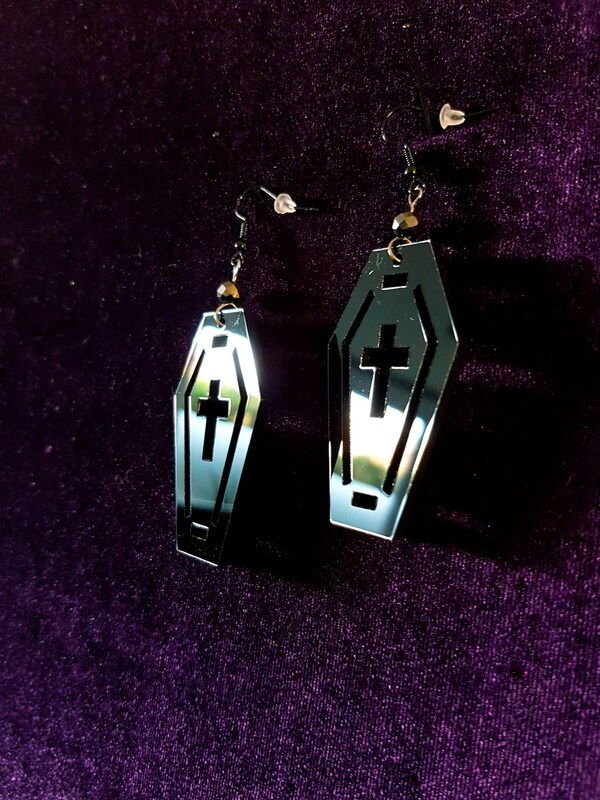 - Shimmering black bead on top.